The Continuing Church of God has had some supporters in Kenya since 2013. But the number grew substantially in 2014 and has been growing in 2015. The Continuing Church of God has sent songbooks, Bible News Prophecy magazines, other books, history booklets, literature, laptop computers, and other support to those in Africa. 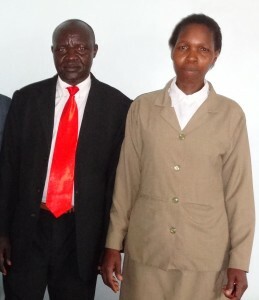 In addition to English, the Continuing Church of God has had literature, such as the Statement of Beliefs of the Continuing Church of God (see KATIKA LUGHA YA KISWAHILI) and our Study the Bible Course (see Somo 1 Katika Kiswahili), translated into Kiswahili which is the ‘linga-Franca’ in many nations in Africa. Our Bible News Prophecy magazine have been translated into Kiswahili (e.g. Okt-Des 2014 UNABII WA BIBLIA: MwanaFiladelfia wa Karne ya 21 ni nani?) and Dholuo (e.g. Dwe Mar Achiel – Dwe Mar Adek 2015: Wheche Manyien Mokor E Muma). We are currently looking at translating literature into at least two other African languages (including Zulu and Ekegusii). Reaching Africa is part of Matthew 24:14;28:19-20 and thus is part of the final phase of the work. See also Africa: Its Biblical Past and Prophesied Future. What does the Bible teach about Africa and its future? Did the early Church reach Africa? Will God call all the Africans? This entry was posted on Thursday, March 12th, 2015 at 12:03 am	and is filed under COG News. Does Red Blood Moon Predict Jesus’ Return in 2015? Do ‘blood moons’ predict Jesus’ return in 2015?